Brazil’s Institute of Industrial Property (INPI) has issued a ruling against Apple, declaring that the tech giant does not have exclusive rights to the iPhone name in the country. The Cupertino company is set to appeal the decision. The ruling is a validation of a claim to the name by Brazilian tech firm IGB Electronica (formerly Gradiente Electronica), who registered the iphone trademark in 2000, seven years before Apple. Despite the ruling, Apple can still sell its iPhone handset in the Latin American country, and can also still use the iPhone name. INPI ruled in IGB Electronica’s favor despite claims from Apple that it should be handed exclusive rights to the name because the Brazilian firm had done nothing with the moniker until it released a line of ‘iphone’ (with a lower case ‘p’) handsets at the end of last year. The first of its Android-powered iphone devices, the Neo One, sports a 480 x 320-resolution 3.7-inch display, a 5-megapixel rear-facing camera, Wi-Fi and 2GB of storage. 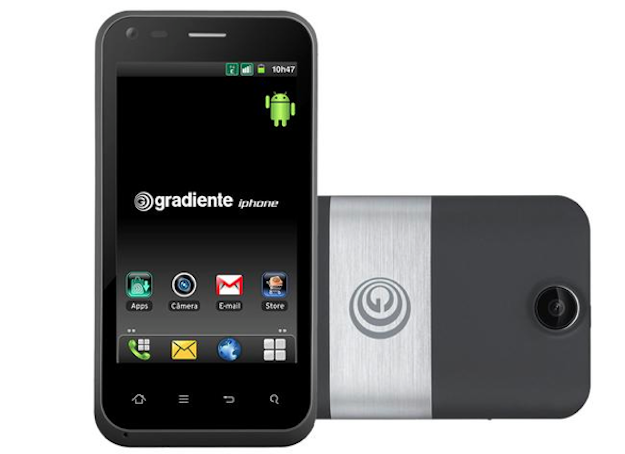 Running Android 2.3.4, the Neo One sells in Brazilian stores for 599 Brazilian real, equivalent to about $300. Perhaps he has in mind Apple’s 2007 out-of-court settlement with Cisco Systems which saw Apple purchase the rights to the iPhone name in the US for an undisclosed sum. Or, more recently, the Cupertino company’s $60 million settlement with Chinese firm Proview to settle a dispute over the iPad name. One thing’s for sure – IGB Electronica will be well aware of Apple’s deep interest in Brazil, with its fast-growing economy and burgeoning middle class, and so any financial settlement with Tim Cook’s company is sure to leave the IGB chairman with a big smile on his face.